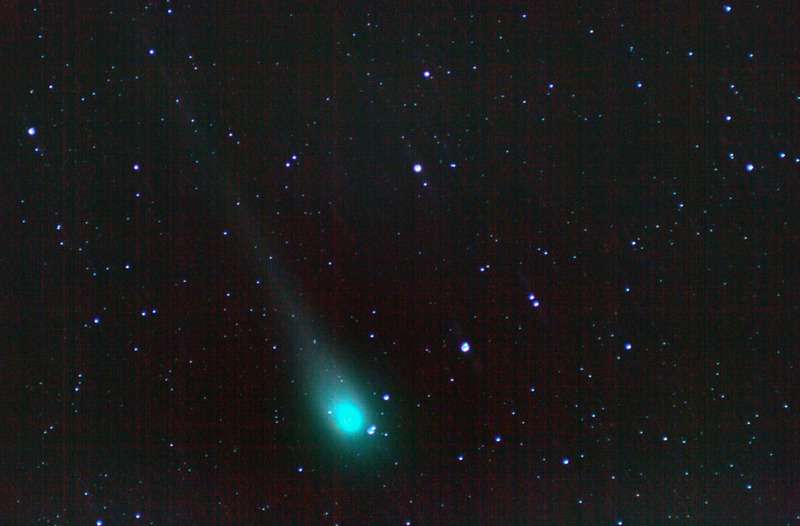 This image of Comet C/2007 N3 Lulin was taken by Chris Newsome on the 1st March 2009. At the time the comet was near the star Regulus in Leo and shone around magnitude 6. The image is stacked from 17 three minute exposures taken at 200ASA on a Canon 400D camera through a Skywatcher 102T telescope and processed in CS2. Chris has also produced an 8 second movie of the comet drifting against the background stars which can be downloaded here (505KB WMV file).